10,000 hours? Or the right attitude? Not everyone's born a virtuouso, but many still have fun and enrich their lives and others by trying things and learning new skills. The key to improving is to recognize that there's room to do so - and typically as skills are acquired there's a process which progresses from the very early, crude stages, through a phase of confidence and capability (but novelty) and later, for a few, real mastery. Those that are determined to improve, no matter how they may rank against their peers, will do so. And they'll engage coaches who have the domain experience and perspective to help them achieve extraordinary success. But many will be content to stop once they've become average - after all, when that's your benchmark it's hard to move beyond it. The same is true in the world of industrial marketing - where egos, satisfaction and complacence are bigger enemies than the competition! And where, remarkably, many companies convince themselves that although they've got the online equivalent of video on the left above, that doesn't matter because they'll be judged on their solution not their website. 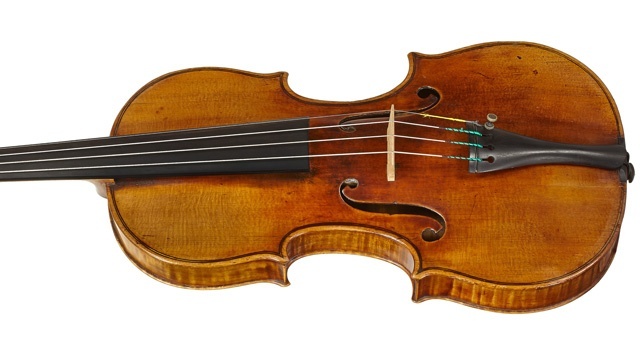 In the violin world an instrument built by Antonio Stradivari is recognized as the pinnacle of the instrument craft. Of course Hilary Hahn might tease truly unique sound from one, but our other two aspiring violinists above wouldn't. Industrial marketing folks too often focus on the tools they have (marketing automation, email, SEO, blog, CMS, etc.) Those tools are of no value themselves. HubSpot, Marketo and Eloqua for instance only create exceptional results in the hands of skillful practitioners. The tools enable but don't create success. Playing scales or making music? There's also a common assumption that familiarity with the basics is tantamount to excellence. The ability to play scales with confidence is vastly different than the ability to perform a concerto. And even the scales themselves can be performed in a routine, mechanical way or elegantly. The same is true of a blog, email, landing pages, CTAs, nurturing, conversion, segmentation, personas, buyers journeys and many other inbound marketing disciplines. Simply doing it is very different than doing it with excellence - and yet even further from the brilliance of a fully integrated concerto performance. Perhaps the most insidious situation, though, is one that commonly afflicts industrial marketing folks. Because industrial companies have been slow to adopt digital marketing, it's easy to leapfrog the vast majority of peers simply by implementing a few landing pages and launching a blog. Often companies that do this will harvest enough new web leads to validate their efforts. The problem is the benchmark. Compared to companies that have a poor website, don't maximize email and haven't thought about improving digital marketing, you may be quite advanced for your industry. But it doesn't mean that you've even begun to fully leverage your industrial marketing potential. Just because you can race through the notes like the middle video, doesn't mean that any of the soul, emotion and passion which distinguish excellence are present in your work. Doing it better, even creating some basic traction, doesn't mean you're doing it well. Many B2B manufacturing companies that are working to improve their digital marketing were early adopters of the internet with basic websites. They probably did some basic SEO and may have established long standing success in search based on early mover efforts. That tends to reinforce the assumption that they have it figured out. The only yardstick that really matters is the optimum level of achievable success for which your company can scale from a manufacturing perspective. The fact that you're better than another company in your industry, or better than most in your industry, or more advanced in your understanding is irrelevant. In fact the most dangerous position to be in is to actually be doing some of it - it's too easy to compare your efforts to others and become dangerously confident and complacent. Instead, check your ego at the door and tell yourself that your goal is to make your industrial marketing program the most successful it can possibly be. You'll find that there are many areas for enormous improvement, and the nature of rapidly changing technology and buying behaviors is that you'll have to continuously improve anyway. There is no static achievement or success. And there are "coaches" available to help your in house team. Many in the inbound marketing world assume that they must either manage it internally or outsource the program. There's a great hybrid option to consider with a consultant who's familiar with your space and doesn't have a stable full of salaries to cover. Proxy for expertise - how much do you read? Want a quick proxy for your inbound marketing proficiency? Based on my experience the volume and diversity of information you read is a great indicator. Just skim industry journals? Not enough depth to really deliver a successful program. Read blogs, periodicals, books and documents about your industry, business in general, finance, marketing, history and more? You'll likely find yourself creating a vastly superior program. Check out the following twitter 'conversation' for more detail. The point to all of this is that as soon as you decide you've figured it out and just need to execute....you're on the slippery slope. Wouldn't you rather be striving for Hilary Hahn type virtuosity? That's because it's really complex stuff. That's what we tackle in this whitepaper "Complicated or Complex - B2B Marketing for Today's Markets". Download your copy for free now.